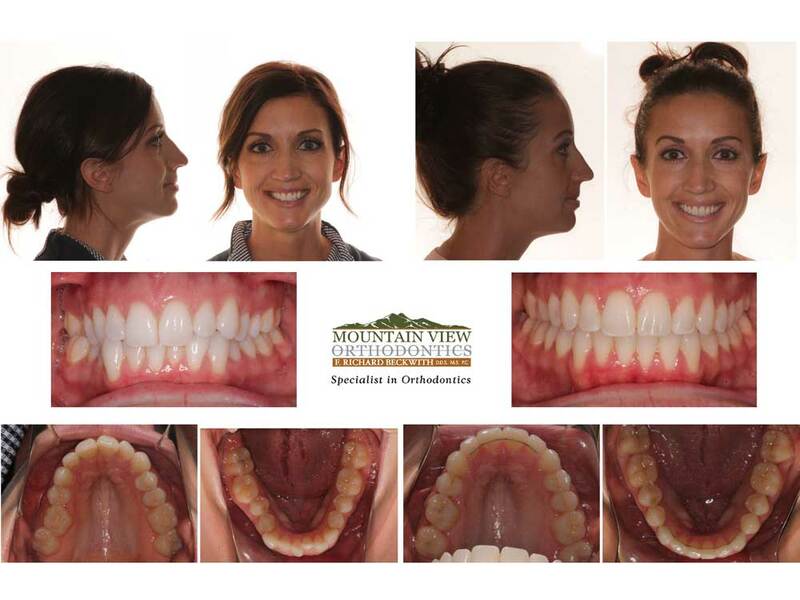 These are a few examples of the many adult orthodontic problems that Dr. Beckwith and our Mountain View Orthodontics team have corrected. 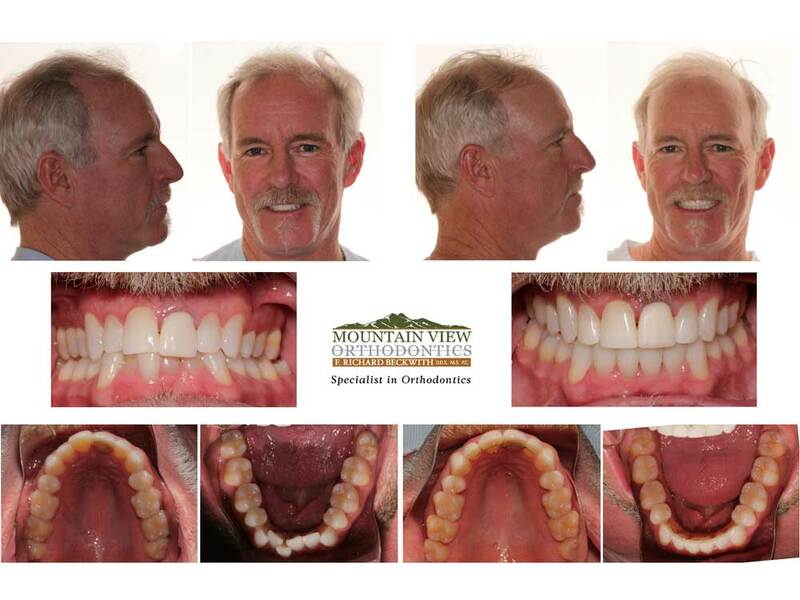 It is never too late for you to achieve the awesome smile that you deserve. Our “Smiling Faces” sample books and video presentation in the reception area have hundreds of before and after photographs of patients that we have treated in our office. Don’t be surprised if you see pictures of someone that you know! Severe crowding. 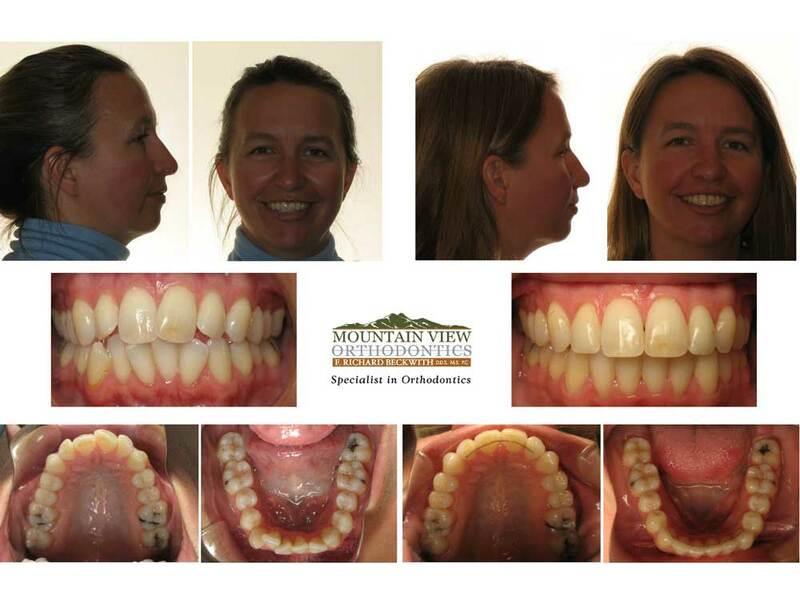 Note the improved smile width…and the straight teeth! We get to do this everyday. We love it!! 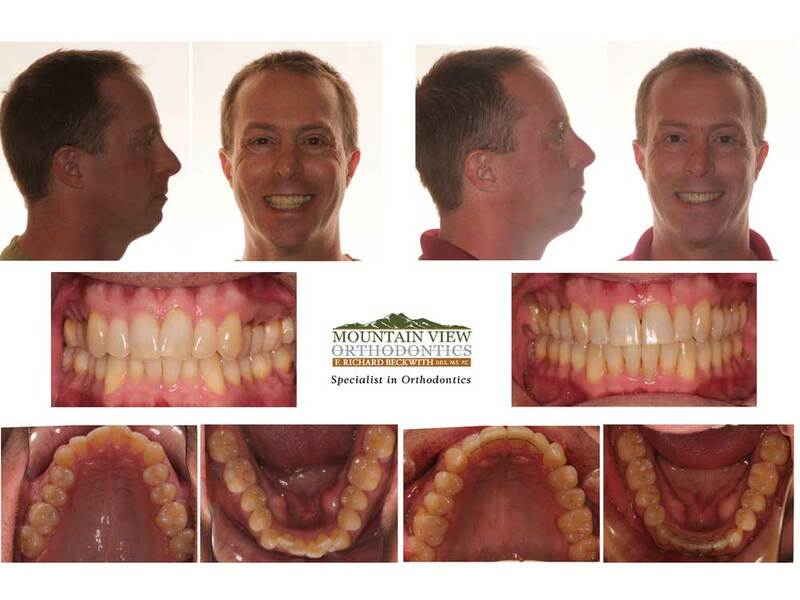 He never liked his protruding upper front teeth and was thrilled to finally have his teeth aligned and his bite corrected. Narrow dental arches, posterior crossbite and tooth crowding. Note the improved smile width. 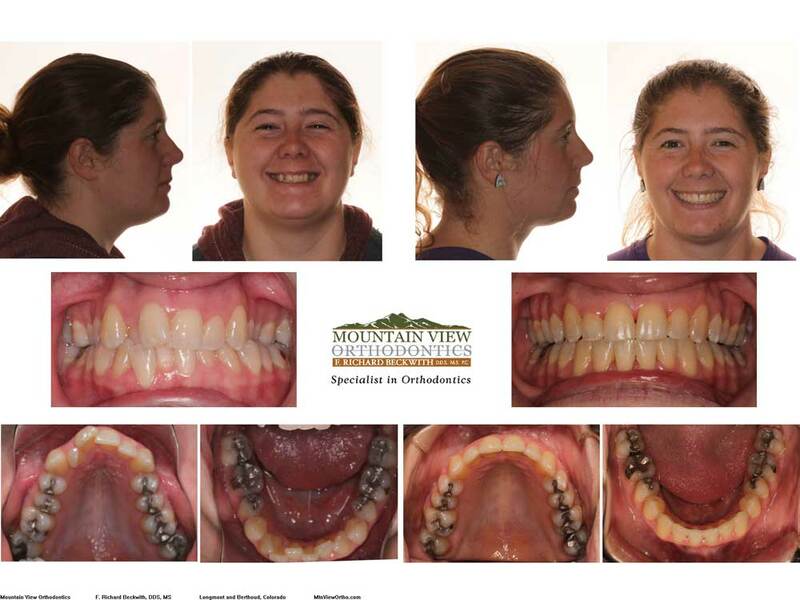 Orthodontics can give you more confidence…and healthier gum tissue! 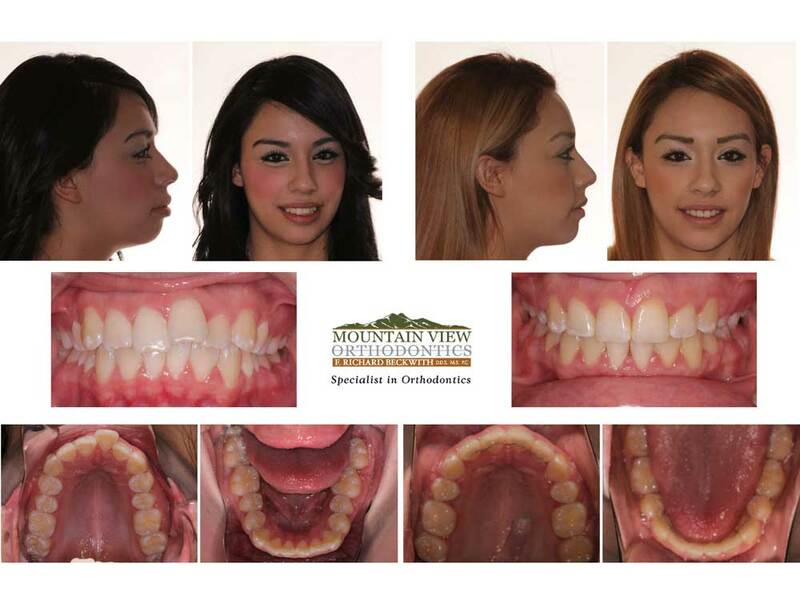 Both the upper and lower teeth were tipped too far forward making her lips protrude too much in the side view. 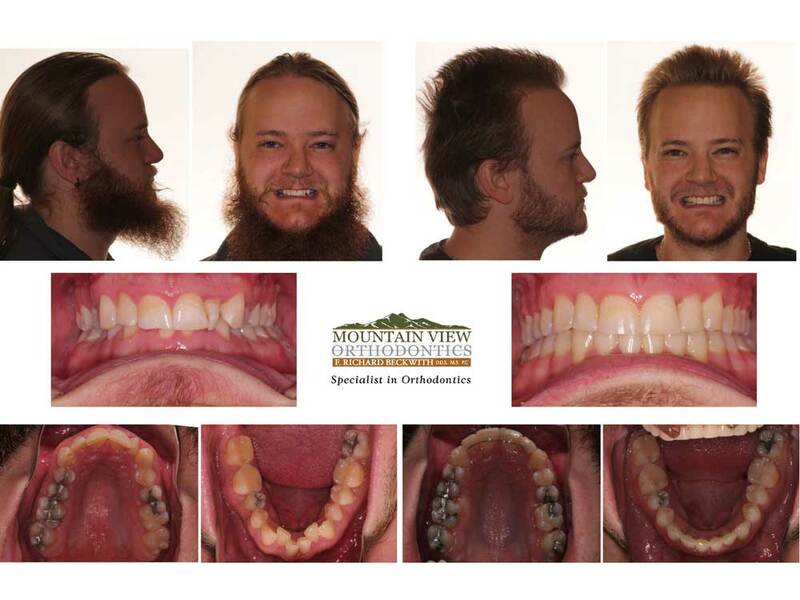 His severely deep bite was worsening the tooth wear. 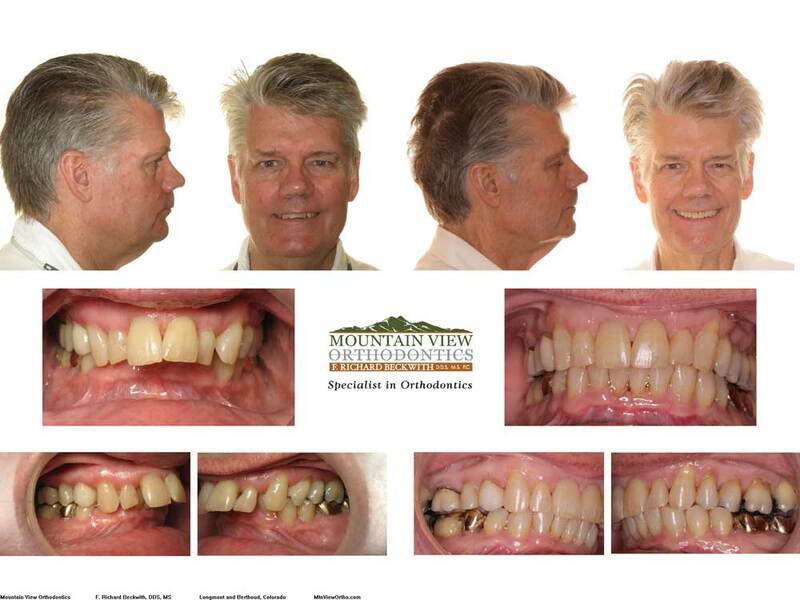 Still more of a grimace than a smile, but those teeth look good! 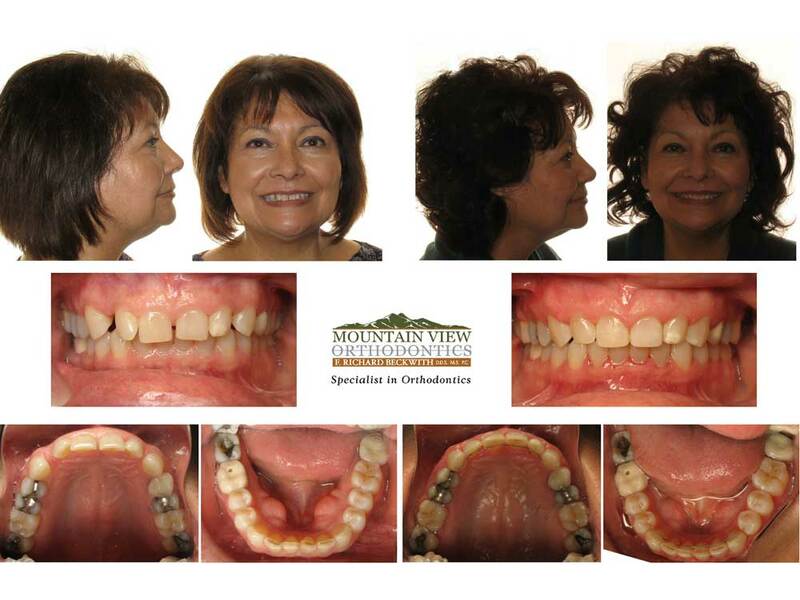 She never liked her overbite or the large gaps between her upper teeth. His crooked teeth had always bothered him. Why wait any longer?